Thomas J. Kenney iis the founder and President of MYSWEETLORD ENTERTAINMENT. Previously, Mr. Kenney was the Executive Vice President of 4Kids Entertainment and Executive Producer of the hit children’s shows Pokemon, Yu-gi-oh, and Teenage Mutant Ninja Turtles. His strong relationships with the Japanese companies over the years led to the acquisition of “Pokemon” and “Yu-gi-oh”, which continue to be huge global hits. He is currently Executive Producing the feature film, Diane’s Room, based on the life of legendary wrestler Dan Gable. .
David L. Gould is a filmmaker whose credits include Freestyle: The Victories of Dan Gable and The Checker King. These films premiered on HBO Signature and HBO2 respectively and enjoyed favorable reviews from the L.A. Times and Newsweek, among others. Among his awards, Mr. Gould has received a CINE Golden Eagle and a regional EMMY AWARD ©for Outstanding Achievement. He is currently producing the feature film, Diane's Room, based on the life of legendary wrestler Dan Gable. Mr. Gould is a faculty member at the University of Iowa and Assistant Director of Student Development for the College of Liberal Arts & Sciences. His courses explore the cultural importance of leisure and play. 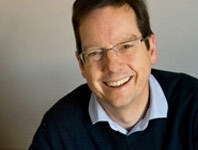 In 2007 he won an award for outstanding teaching at the University. He was also a nominee for the 2008 President and Provost Award for Teaching Excellence, and the Lola Lopes Award for Undergraduate Student Advocacy in both 2009-2010 and 2010-2011. In 2009, Mr. Gould was profiled in the University of Iowa's Be Remarkable Campaign, and in 2010, graduating seniors at the University of Iowa recognized him as one of the top faculty and staff members who has had a "positive effect on their life." 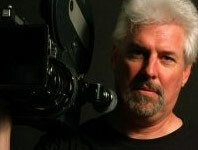 Kevin Kelley has been a documentary filmmaker since 1981 and has mentored other young filmmakers for over two decades. He has numerous national and international awards, for documentaries and other programs that have been honored with The Cine Golden Eagle and a regional EMMY AWARD ©. His programs have appeared on HBO, CBS, ABC, FOX and PBS stations across the country. Kelley directed the feature documentary “Freestyle: The Victories of Dan Gable” for HBO Signature in 1999. His directorial style for Freestyle was herald by The Los Angeles Times as “comprehensive, strait-ahead and unsentimental.” The Chicago Tribune called his work “a winner”. Kelley directed a short documentary for HBO2 “The Checker King” which aired nationally in 2003 on the series Reel-Life. The film was shown in Los Angeles at the International Documentary Festival in October of 2001 and at the Laemmle Theater in Santa Monica California qualifying it for the Academy Awards short documentary completion in 2002. Market Fresh America - a cooking, travel and educational series for television broadcast, web and schools. Village Stories - Profiles of artisans creating fair trade products for Ten Thousand Villages filmed in West and East Africa. Progress and Preservation - A video poem. Camera for The Tsunami's Wake: Healing from Trauma - A documentary about disaster trauma therapy in Indonesia and how different methods have been useful in rebuilding communities since the tsunami on December 26, 2004. Campbell directed the series Ethical Markets for PBS broadcast and Circle of Love, a series of programs for WHYY-PBS that document firsthand the joys and struggles of family care giving which garnered many awards including the 2005 Regional Edward R. Murrow Awards & Best Television Documentary. 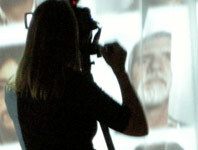 Campbell also produced a second series, Circle of Care, exploring the uses of the arts in medicine. 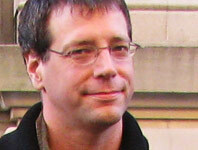 Michael Scott Moore is a novelist and journalist from California who works in Berlin for Spiegel Online. His first novel, Too Much of Nothing, came out in 2003, and his travel book about the history surfing, called Sweetness and Blood, was listed as a best book of 2010 by The Economist. He was a 2006-2007 Fulbright fellow in journalism. Ines Hofmann Kanna was born and raised in East Germany. After the fall of the wall, she came to the United States -- as a nanny first and a graduate student later. 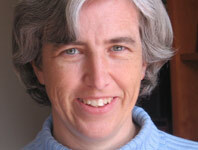 She worked for Boston's PBS station, WGBH, for ten years, most notably for the hit series Antiques Roadshow. As a freelancer, she has produced and directed television series for cable and public television as well as films for non-profit organizations. In her personal work, she prefers documentary-making and exploring women's issues around the world. Her latest film "(un)veiled – Muslim Women talk about Hijab" has been screened at numerous film festivals around the world. 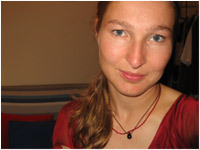 Ines lives and works in the San Francisco Bay Area. Patricia Garcia-Rios is a documentary filmmaker with more than fifteen years' experience in national public television programs. Her last film is Becoming American, part of the PBS series Unnatural Causes: Is Inequality Making Us Sick?, which recently won a duPont Columbia Award. As a producer and co-producer at WGBH-Boston she has worked on the historical documentary series They Made America (PBS, 2004), Reconstruction: The Second Civil War (PBS, 2004) and Chicago: City of the Century (PBS, 2003). In 2005 she was nominated for a Writers Guild award for Reconstruction. Her work has also been recognized by the Organization of American Historians (Erik Barnouw award for outstanding historical program). Ms. Garcia-Rios was a print journalist in her native Spain before moving to Boston in 1990. She began her career in documentaries at Blackside, Inc. (of Eyes on the Prize fame), where she developed a deep respect and knowledge of the intricacies of storytelling. Recently, she has acted as consulting producer and story consultant on several documentaries for film and television, among them Our Disappeared (Independent Lens/PBS, September 2009); Ulises' Journey (forthcoming, PBS); Traces of the Trade (POV/Sundance Film Festival, 2008), and The Borinqueneers (PBS, August 2007). 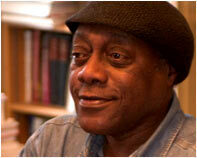 James Alan McPherson is one of America's most venerated writers. Born in 1943 in Savannah Georgia, he emerged on the literary scene in 1965 when his story Gold Coast won the Atlantic Monthly Firsts award. The story was later selected by John Updike for the collection Best American Short Stories of the Century. In 1978 Mr. McPherson became the first African American to win the Pulitzer Prize for Fiction with his collection of short stories entitled Elbow Room. In 1995, he was inducted into the Academy of Arts and Sciences. He teaches at the University of Iowa Writers' Workshop and lives in Iowa City. Mark Fullenkamp is the still photographer and artistic consultant for this project. He is also the Director of Web Services for the College of Liberal Arts & Sciences at the University of Iowa. 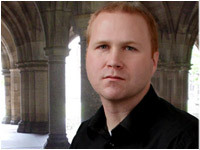 In 2001, he earned an MBA with focuses in MIS and Marketing at the University's Tippie College of Business. He also has a broad background in the humanities with B.A. 's in Journalism, Political Science, and History. Joe Mrkonich graduated from the University of Iowa in 2006 with High Distinction and Honors, and the University of Iowa College of Law in 2010. When not working on Two Sides Of The Moon, Mr. Mrkonich was active in the Iowa City community. He volunteered at the University of Iowa Hospitals and Clinics and "The James Gang," a local non-profit organization. Petra Krischok is a freelance journalist, researcher and translator for such newspapers as The Boston Globe, The Chicago Tribune, The Washington Post, and The New Yorker. 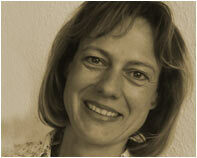 She assists American authors in the development of German-related book projects. In 1994, Ms. Krischok received her M.A. in Journalism, from Free University of Berlin. Chivy Sok has long been recognized as a leader on human rights and child labor research, education, and training. Prior to joining The Women's Institute for Leadership Development (WILD) for Human Rights as the Co-Director, she served on its Board of Directors for two years. Before moving back to the Bay Area, Ms. Sok worked in several different capacities to advance human rights. She has served as the Deputy Director of the Center for Human Rights at the University of Iowa, where she directed the Child Labor Research Initiative, a $1.2 million set of projects developed to promote child labor research, education and training. She was also appointed as an Adjunct Lecturer at the School of Law where she developed and co-taught an advanced research seminar on International Human Rights and Child Labor. Ms. Sok has also worked as the Program Director at the Center for the Study of Human Rights at Columbia University where she was primarily responsible for running the International Human Rights Advocates Training Program.